Instant Quote, Print and Go! Get The Coverage You Need Now! It is Mexican law that any moving vehicle that contains people must have MEXICAN liability insurance from a licensed company. Mexico won’t recognize your U.S. insurance if you need to pay restitution to an injured party. Mexico on my Mind offers the ability to purchase Mexican RV Insurance online that best suits your needs. Our policies have flexible terms. All our liability policies carry medical coverage for you and your passengers. Whether you are planning a Mexican tour with your motorcycle, Harley, ATV or scooter, or you are moving it permanently, you need to carry Mexican Insurance. It is Mexican law that any moving vehicle that contains people must have MEXICAN liability insurance from an insurance company licensed in Mexico. The Mexican judicial system WILL NOT under any circumstances, recognize your U.S. insurance if you need to pay restitution to an injured party. Further, in Mexico, if you are in an accident and the policia are called, all parties are taken to jail or detained and a judge will determine guilt. If you are found guilty, in order to leave jail, and the country, restitution must be made to the judge’s satisfaction, and without a recognized Mexican insurance policy, that could be very costly. Before you enter Mexico, buy your Mexican auto insurance for any moving vehicle or boat crossing over the border. Each application is simple and inexpensive and the law. We have chosen the top, A Rated, Mexican auto insurance companies to work with. All three of our Mexican auto insurance companies have solid reputations within the Mexican and international insurance industry. 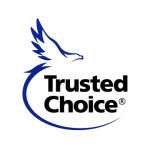 Our claims service is top rated with each of our three select company policies. Roadside and travel assistance insurance is also a feature that eases your travel needs and is readily available from our professional bilingual representatives. No matter where you are located in Mexico, the companies we work with will have an adjuster in your area. Purchase a year round policy or a shorter term policy for travel. Or click one of the links below and get an instant quote, buy and print your policy online!